just got back from a used book shop.. I came home with two books: “Jonathan Strange and Mr. Norrell,” by Susanna Clarke, and A Wrinkle in Time, by Madeleine L’Engle. (There are many many covers and many editions of this book. This cover is my favorite). L’Engle’s book is a classic. It was published in 1962, and is one of those books that was written for children, but is very deep, and can be greatly appreciated by adults. 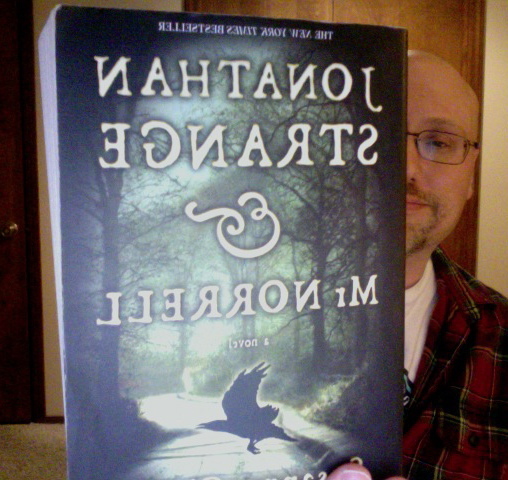 This book portrays evil more articulately and effectively than practically any other book I have ever read. 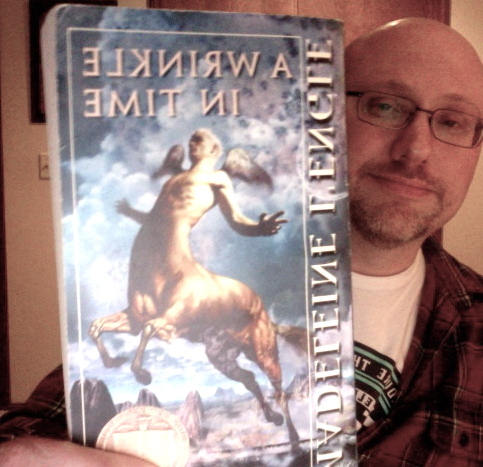 I first read “A Wrinkle in Time” when I was a kid, and have read it twice since. I will likely read it many more times in the future. I have also read two other books by L’Engle. She wrote many stories, and I plan on reading them all.. eventually. I heard about Clarke’s book when it was first published in 2004. I had always planned on reading it. But, the book is over 800 pages long, and I never felt like taking it on. and has some illustrations in it. I’ve never seen this edition before, and decided to buy it. Every edition I’ve seen in the past just has a solid black or silver cover. I am not sure when I will start reading this book. The book is a rather unconventional fantasy story about two wizards living and practicing their magic in England during the early 1800’s. I expect it will be a rather good read. Right now though, I am several chapters into a biographical work about C.S. Lewis and. J. R. R. Tolkien, the creators of The Chronicles of Narnia and The Lord of the Rings Trilogy, respectively. The book is called “The Inklings: C.S. Lewis, J.R.R. 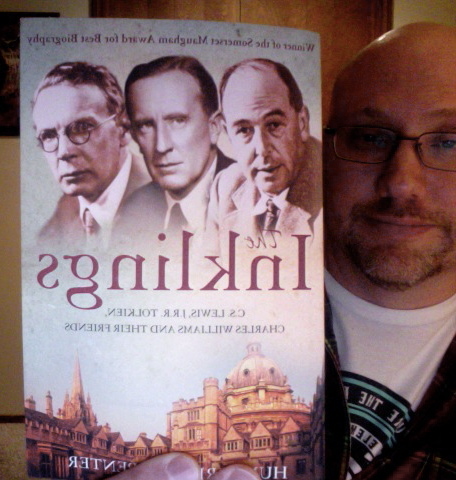 Tolkien, Charles Williams and Their Friends.” As far as I know, this book has not been published in the US. I had to order it from a seller in the UK. C.S. Lewis and Tolkien were very much a part of my childhood. Friends of my parents often talked about Tolkien, I read the “The Hobbit,” my brother and I watched the excellent cartoon adaptation of that book many times, and my brother continued on to read the LOTR trilogy. My parents read The Chronicles of Narnia to my brother and me. He and I also read these books ourselves. One night, when I was nine or ten years old, and staying overnight at a friend’s house, my friend decided to read to me “The Voyage of the Dawn Treader” (book three of The Chronicles of Narnia). We stayed up almost all night, and he read me the whole book. I’ve known for quite some time that Lewis and Tolkien were friends, but have never learned about their friendship. Now I have the chance to learn. One of the other members of The Inklings was mystery writer Dorothy Sayers. I don’t see much mention of her in the index. I’ve never heard of Charles Williams before. The book, by Humphrey Carpenter, is, so far, quite good. And very British. ← be careful when buying a puppy.